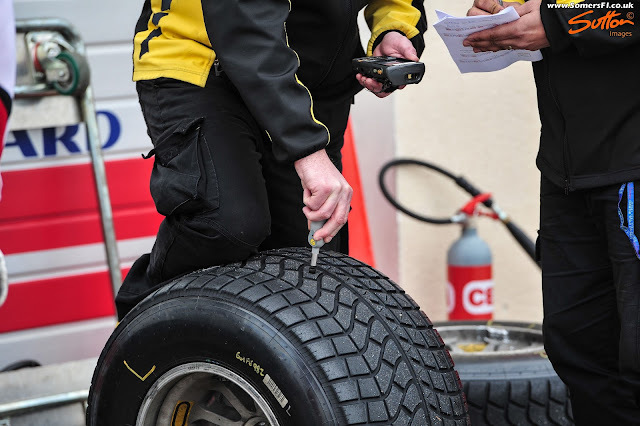 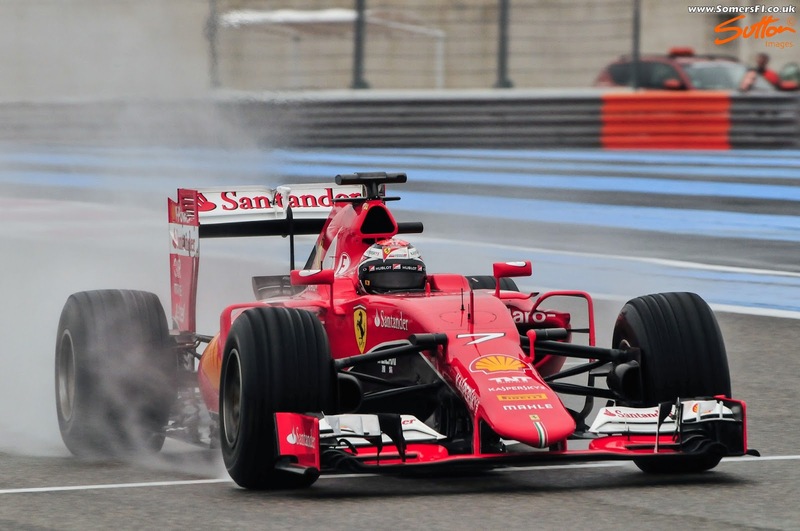 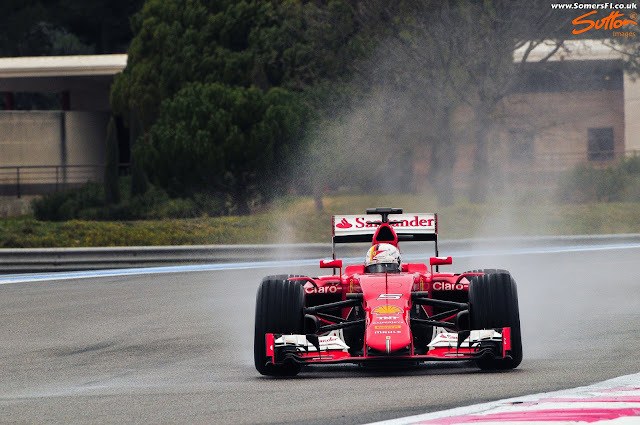 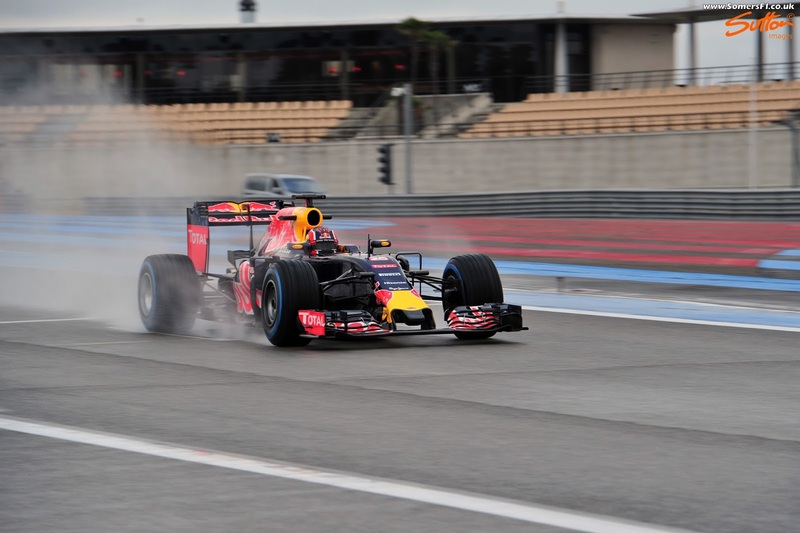 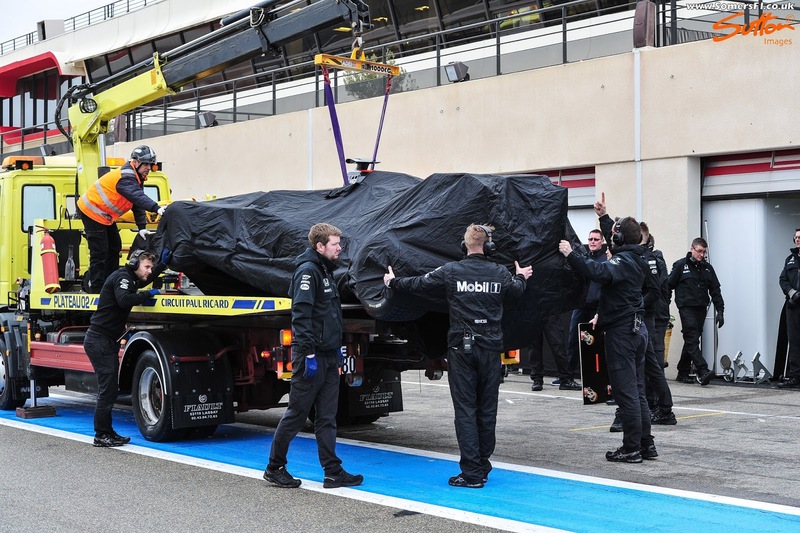 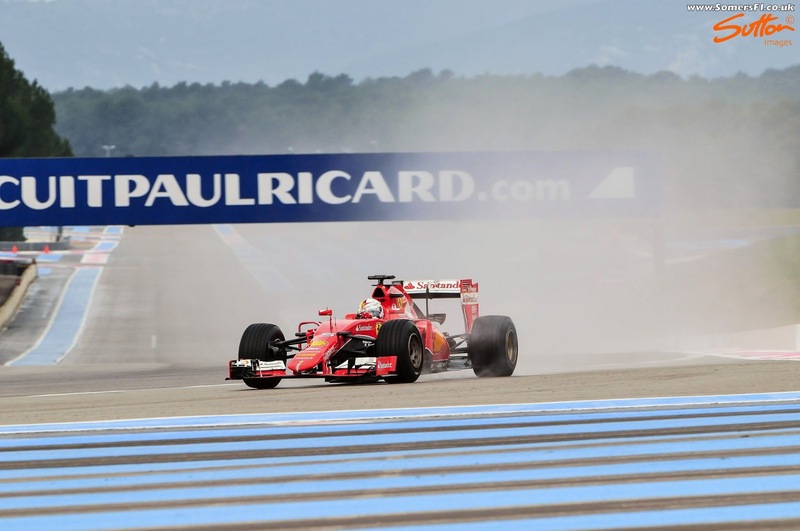 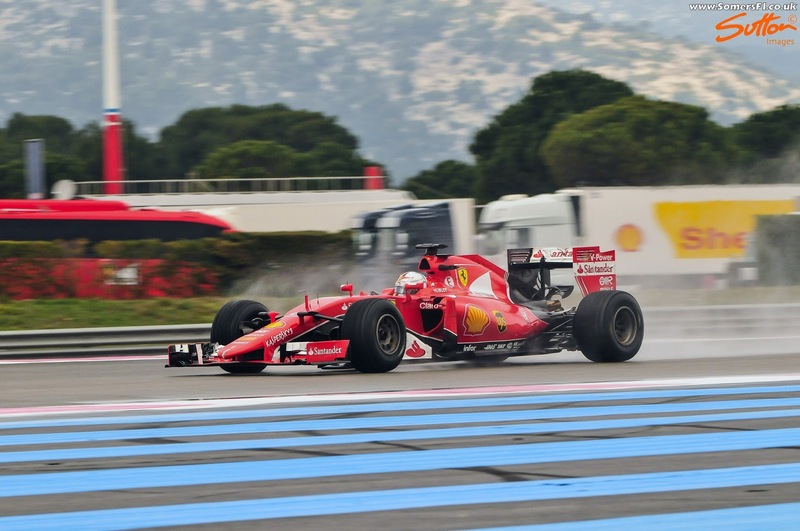 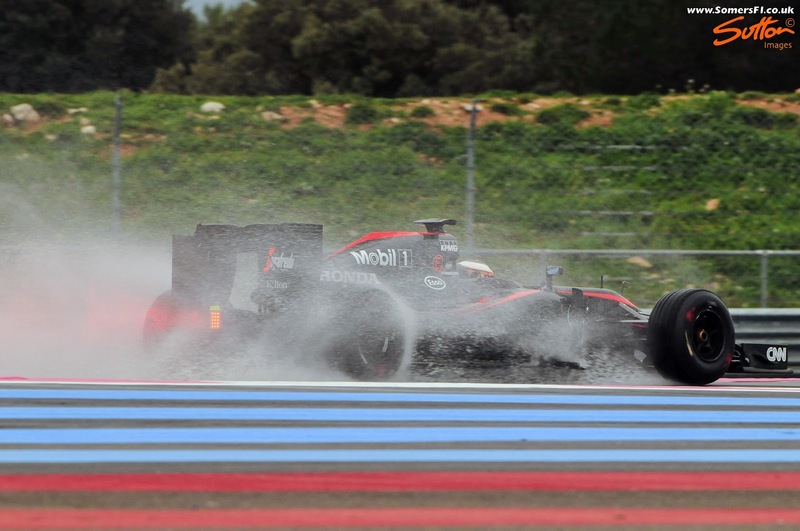 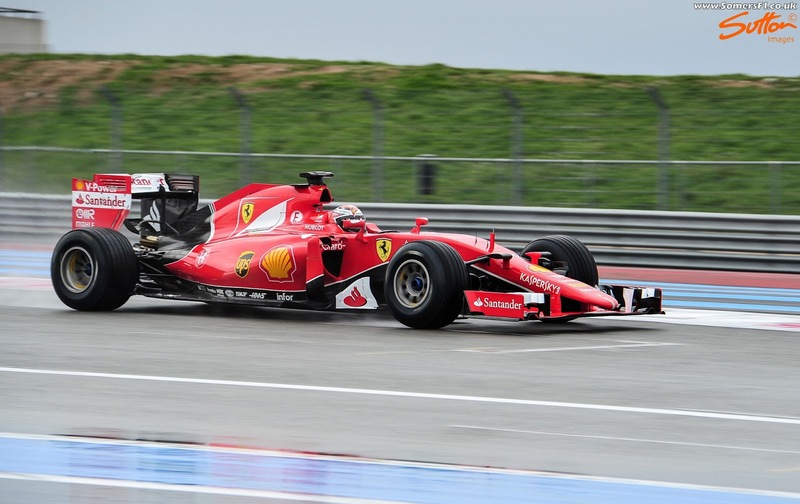 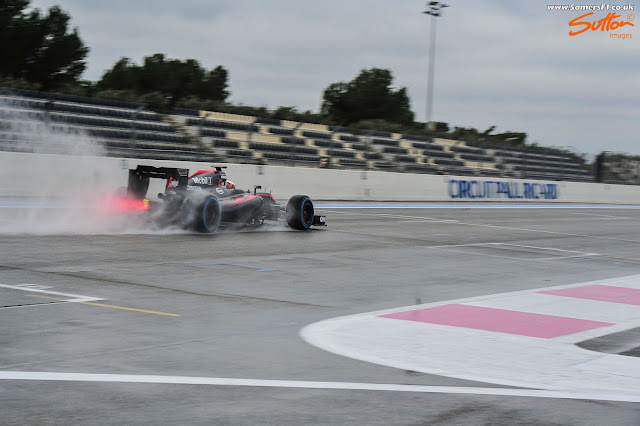 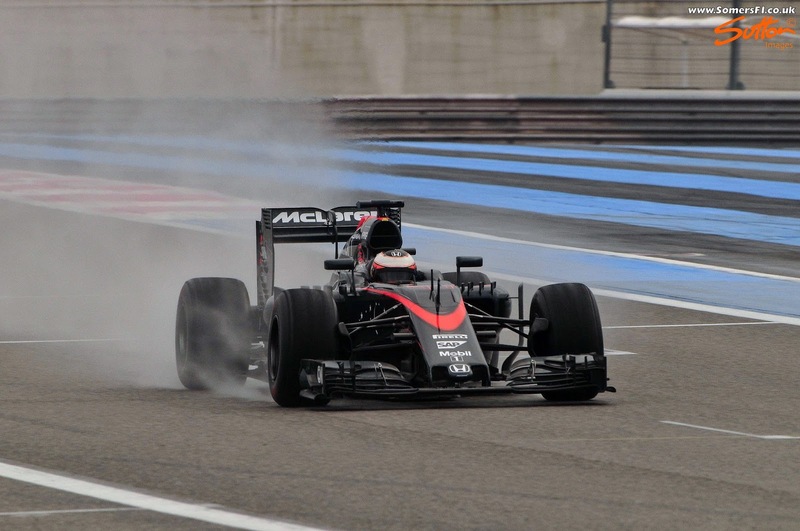 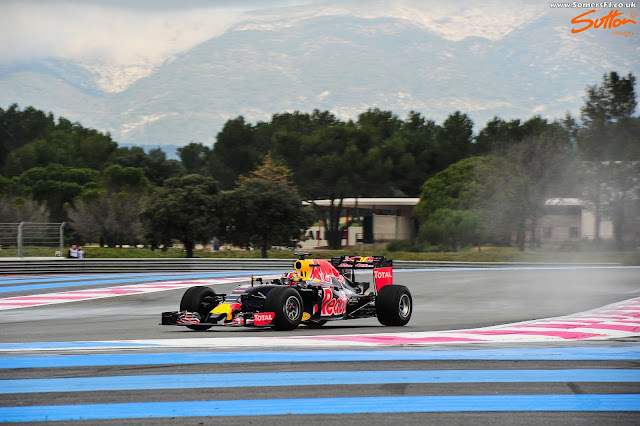 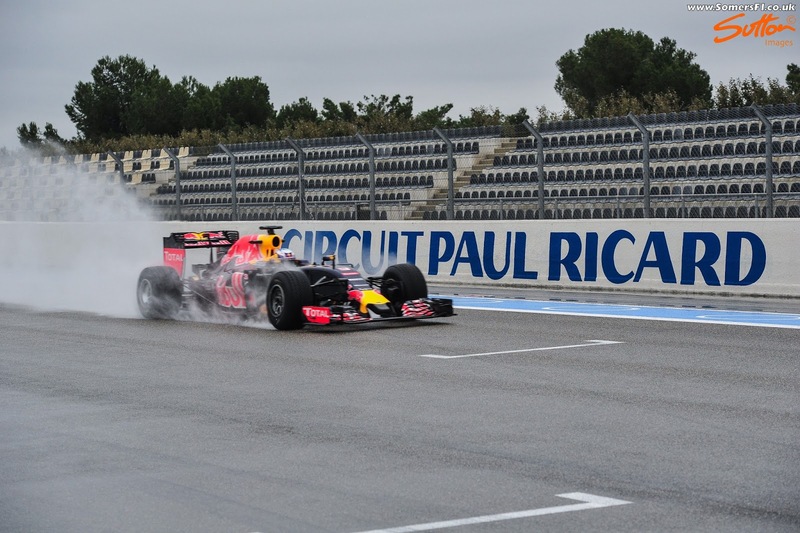 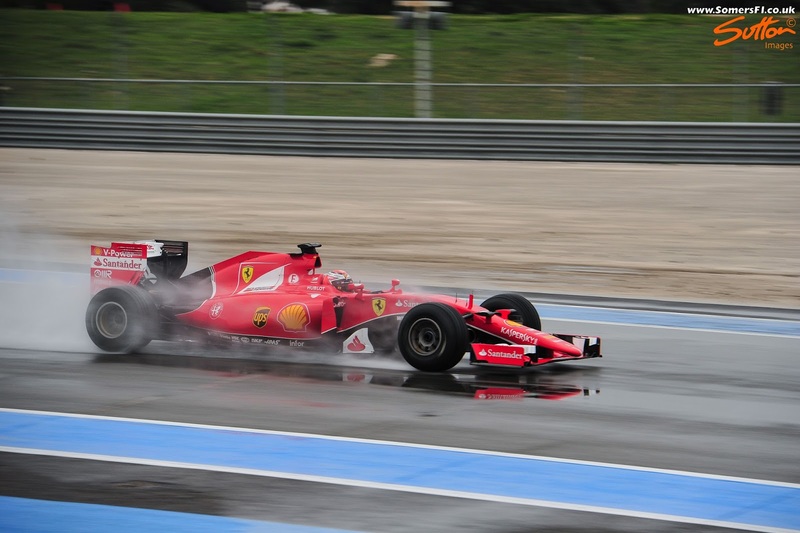 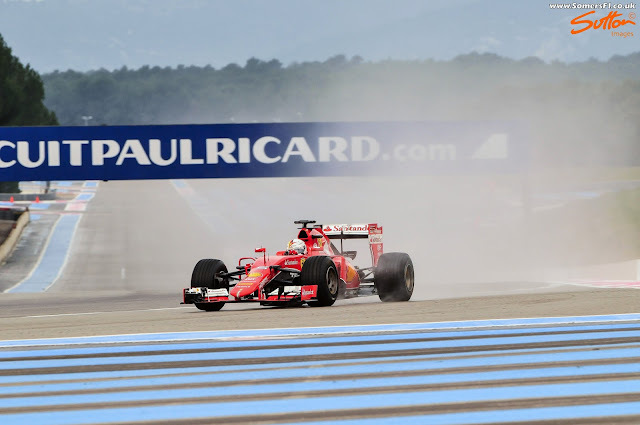 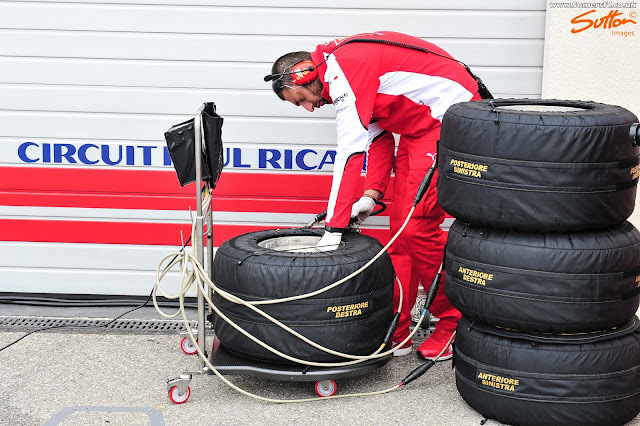 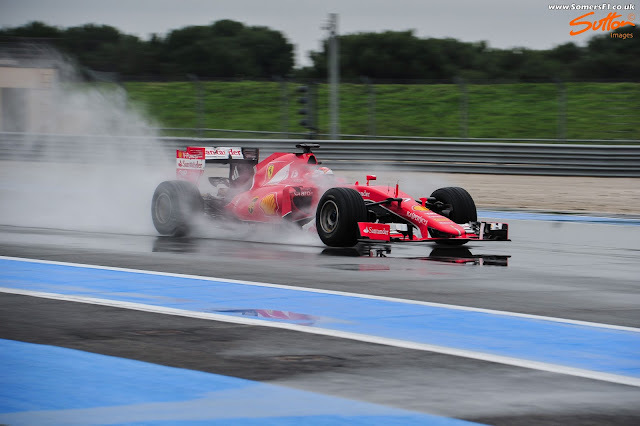 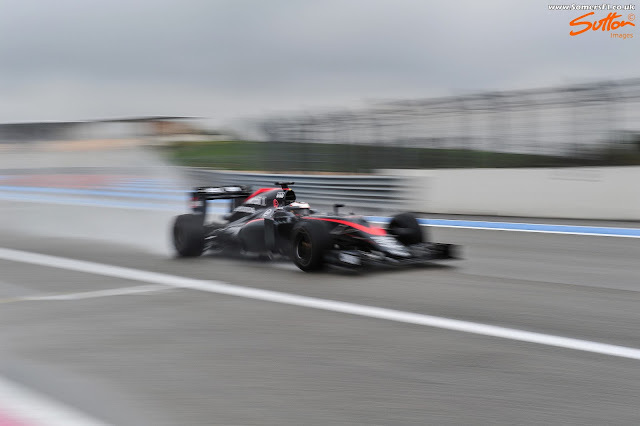 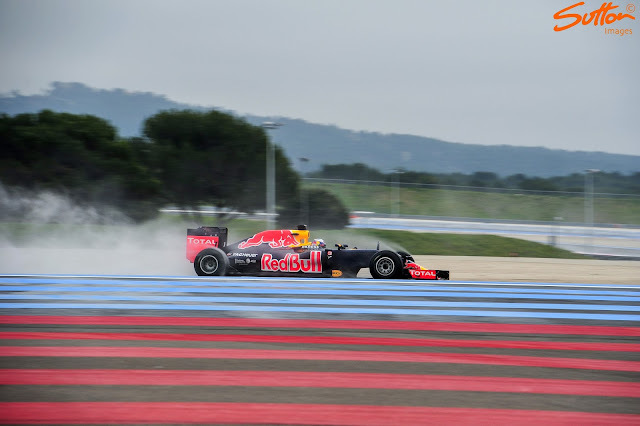 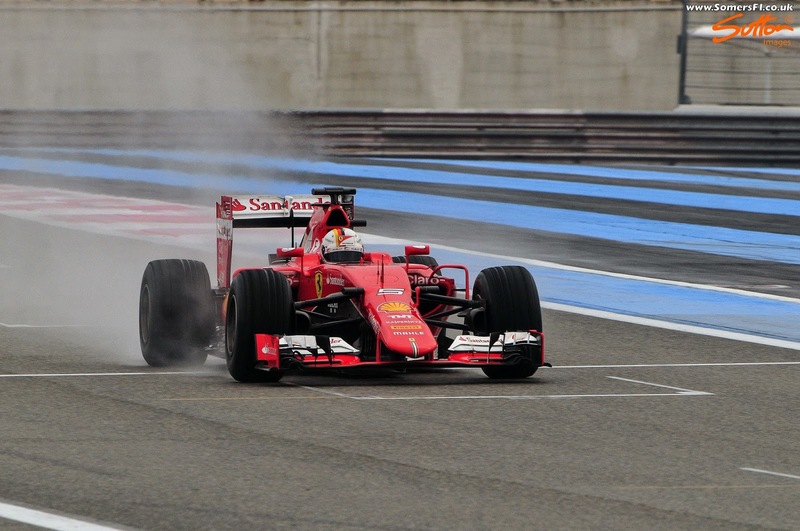 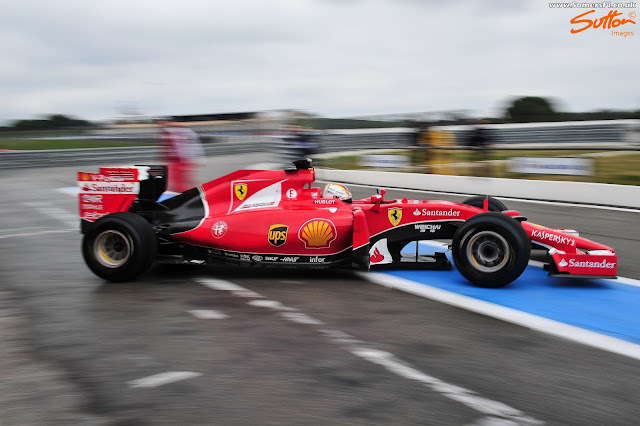 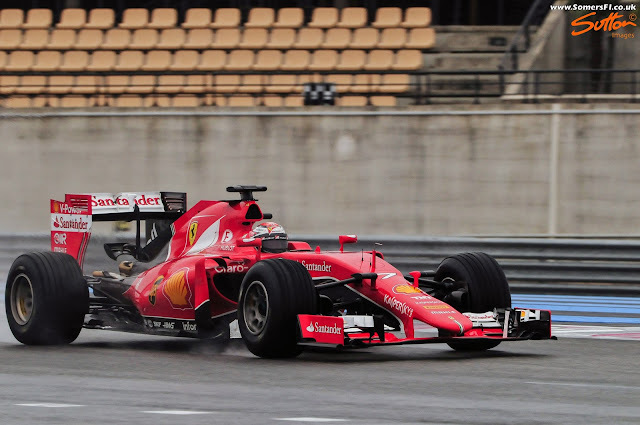 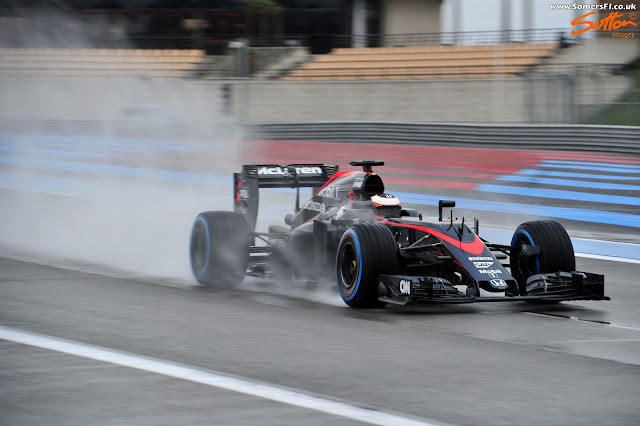 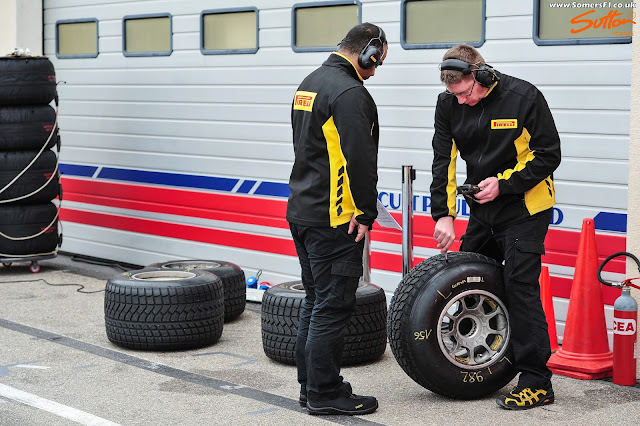 A selection of the best images from the wet weather test conducted by Pirelli at Paul Ricard with the Ferrari SF15-T, Red Bull RB11 and McLaren MP4-30 courtesy of Sutton Images. There is nothing of major interest and certainly nothing we haven't seen before but during the lull til testing I thought them worth posting in any case. 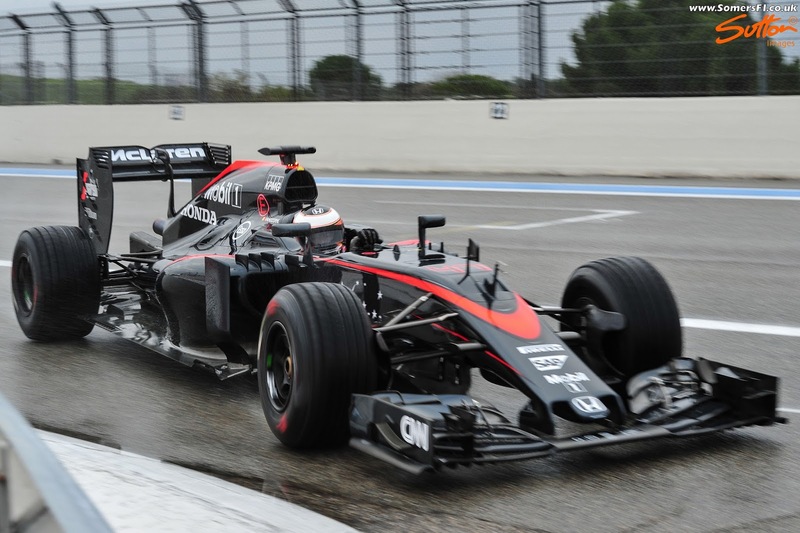 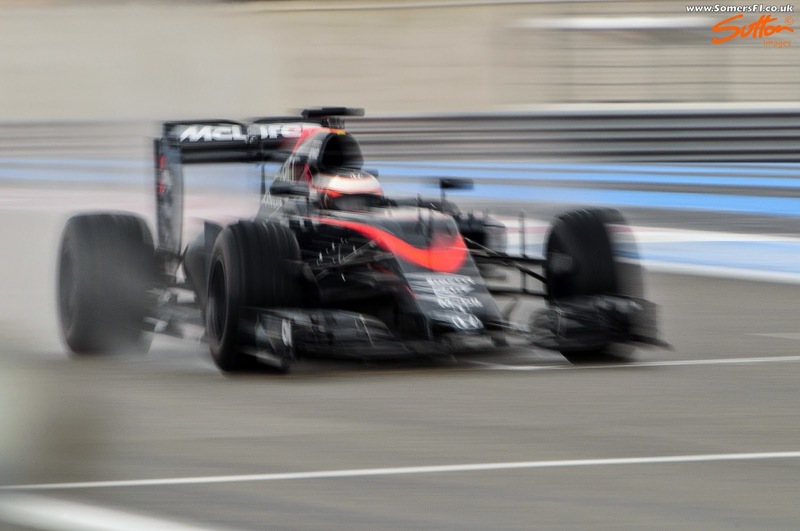 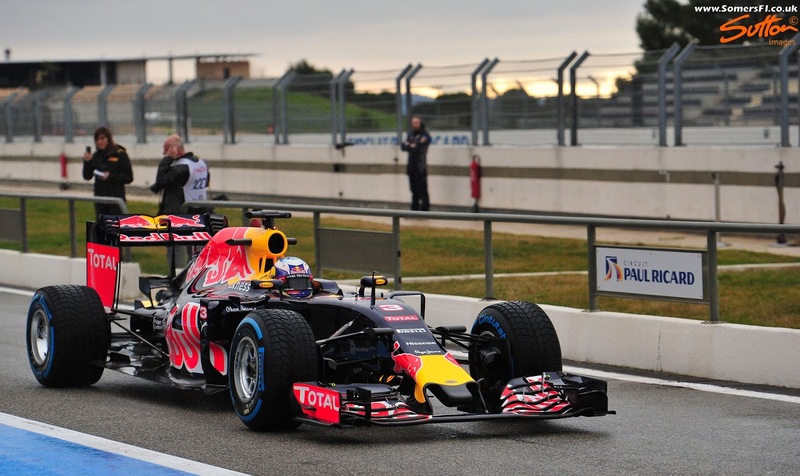 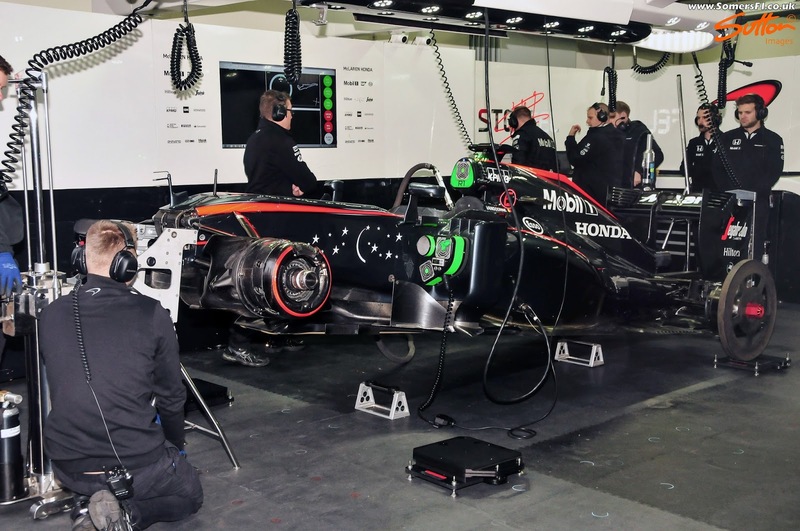 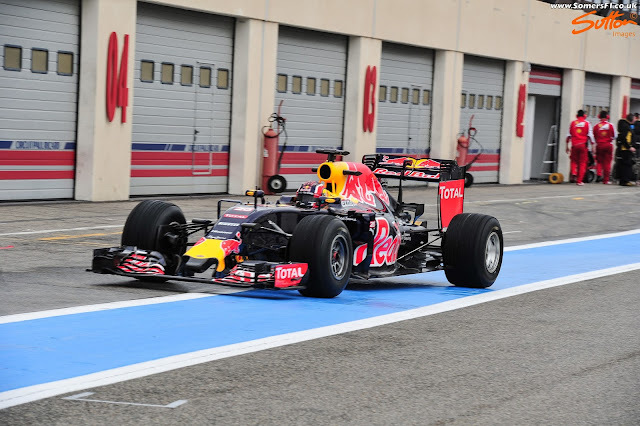 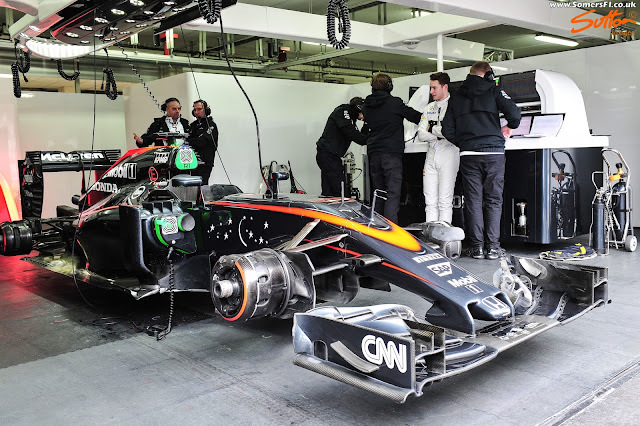 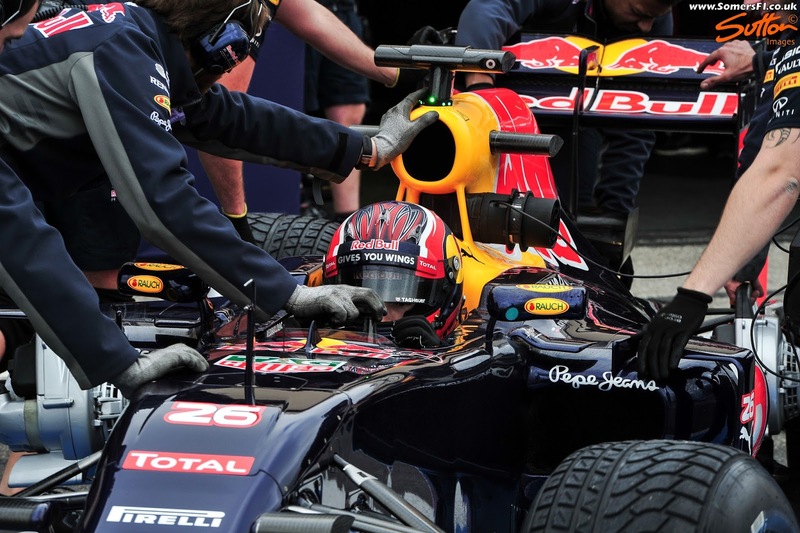 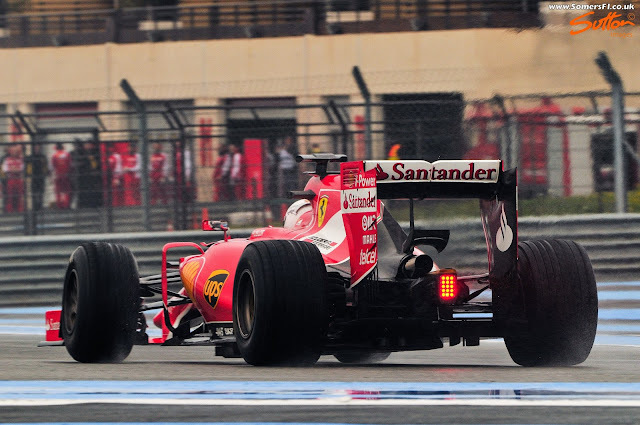 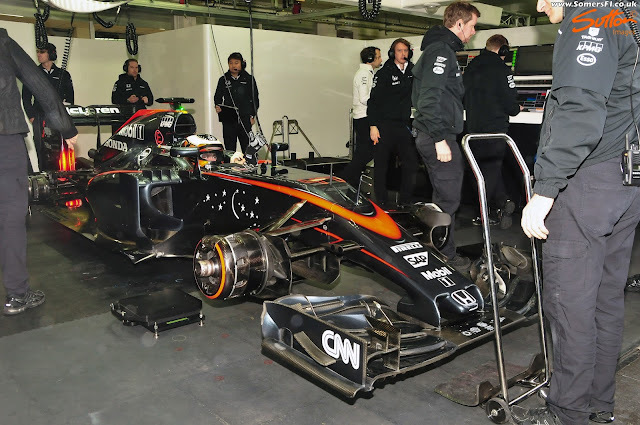 A small aside is that I notice that all three teams were using early 2015 specification front wings during the tests.